The book explores the Russian leadership's strategic agenda and illuminates the range of problems it faces in implementing it. Given these difficulties and the Russian leadership's concerns about an unstable and increasingly competitive world, the Russian official and expert community often use the term 'mobilisation' to describe the measures that Moscow is increasingly resorting to in order to implement its agenda. The book explores what this means, and concludes that many of the terms used in the Western debate about Russia both misdiagnose the nature of the challenge and misrepresent the situation in Russia. 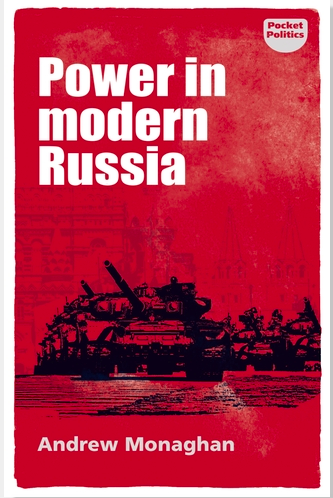 At a time when many of the books about Russia are focused specifically on the war in Ukraine and the deterioration in relations between the Euro-Atlantic community and Russia, or are biographies of Vladimir Putin, it offers a new and unique lens through which to understand how Russia works and how Russian domestic and foreign politics are intimately linked. Dr Andrew Monaghan is the Director of Research on Russia and Northern European Defence and Security at the CCW. He has previously held positions as Senior Research Fellow in the Russia and Eurasia Programme at Chatham House (2013-April 2017) and leading the Russia related research in the Research Division of the NDC (2006-2012). In this role, he was also the NDC’s senior researcher on energy security matters. He has also served as an expert witness to several parliamentary committees including the UK’s National Security Strategy Committee, the House of Commons Defence and Foreign Affairs Select Committees, and NATO’s Parliamentary Assembly.